Despite its high prevalence, malnutrition in hospitalized patients often goes unrecognized and undertreated. Watch this 6:00-minute video to learn more about how using the malnutrition screening tool upon admission and administering nutrition supplements helped one hospital system improve outcomes, such as reducing length of hospital stay, for patients at risk. This recent study, published in The Journal of Parenteral & Enteral Nutrition online, discusses the increased risk of death or prolonged recovery in adult American patients in the hospital setting who are at nutritional risk or not eating their full meal. Learn what you can do to help improve your patients’ outcomes. This article, published in the Journal of American Medical Directors Association (JAMDA), addresses the role of muscle mass in improving health outcomes in a variety of disease states. It also offers strategies you can use to help patients manage low muscle mass and prevent muscle loss. A better-nourished world is a better world. 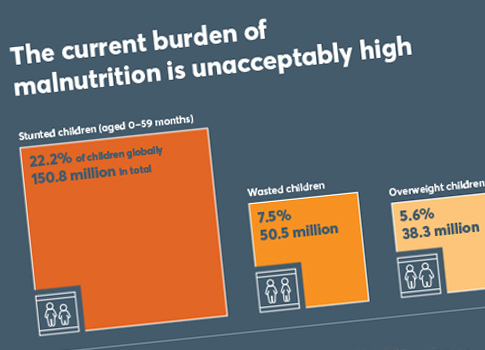 Yet, the 2018 Global Nutrition Report shows that, despite the significant steps the world has taken towards improving nutrition, lack of good nutrition is still a universal problem. The Global Leadership Initiative on Malnutrition (GLIM) is focused on building a global consensus around core diagnostic criteria for malnutrition in adults in clinical settings. On 4 September 2018, the GLIM leadership committee and working group published consensus recommendations for a two-step approach to malnutrition diagnosis. Read the complete GLIM consensus statement here. On 14 March 2018, a multi-stakeholder group of health and community leaders and advocates came together for a national dialogue focusing on developing real-world solutions to better integrate nutrition risk identification and care into existing care transition pathways and accountable care models. See the results of their discussions in these featured proceedings. Convened by Avalere, the Academy of Nutrition and Dietetics, and the Defeat Malnutrition Today coalition, supported by Abbott. Although malnutrition can increase the risk of chronic disease, frailty, and disability, as well as increase healthcare costs, patients’ nutrition status is often not addressed as they transition across care settings. 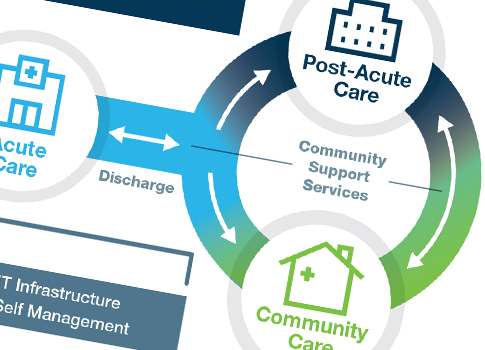 See this infographic from “Dialogue Proceedings: Advancing Patient-centered Malnutrition Care Transitions,” to find out why these transitions are so important. Presented by Avalere, the Academy of Nutrition and Dietetics, and the Defeat Malnutrition Today coalition, supported by Abbott. Patients who are malnourished or at risk for malnutrition often benefit from oral nutritional supplements (ONS). Since ONS are specially formulated products, all ONS ingredients—including carbohydrates—are added ingredients. This may seem to be at odds with the growing public health discourse on the need to reduce “added sugars” in the diet. However, carbohydrate is an essential nutrient for human health and is a critical ingredient in ONS. This perspective paper reviews the important roles of “added sugars” in ONS, in terms of flavor, function, and product formulation. 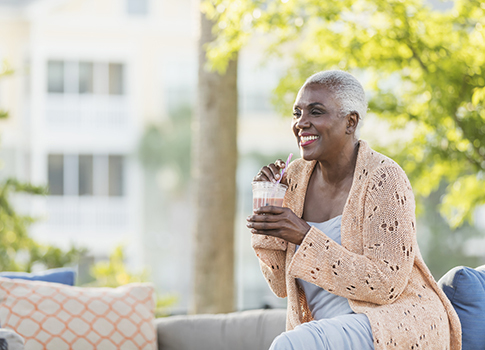 A new survey by the International Food Information Council and supported by Abbott, found that heart and muscle health, brain health, and having enough energy were the were the four main health topics on the minds of older adults. Find out more about the survey here.